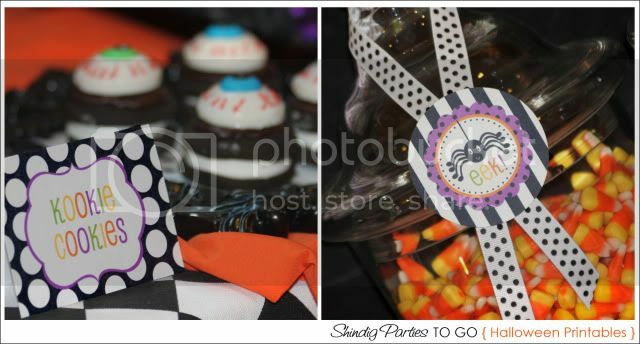 submitted by Shindig Parties To Go! 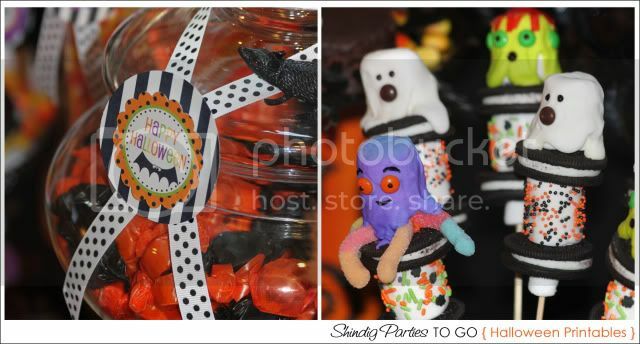 Amanda designed this party with busy mom's in mind, using store-bought pre-packaged food items and sprucing them up a bit with frosting and sprinkles. 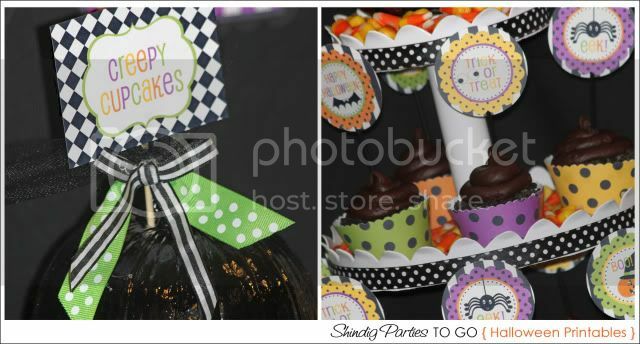 It also incorporates her new line of Halloween Party Printables sold on Etsy here! 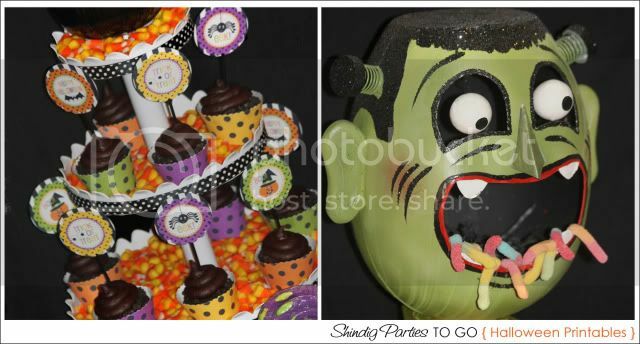 Thanks for your submission, Amanda! 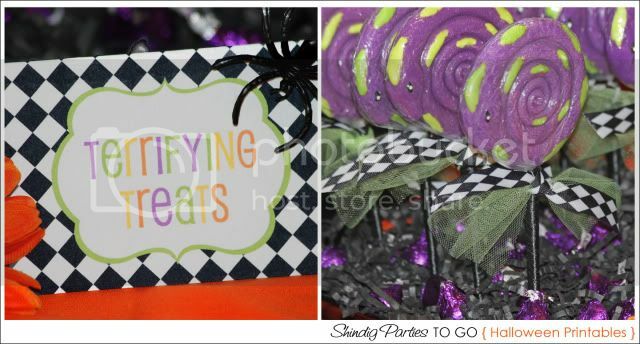 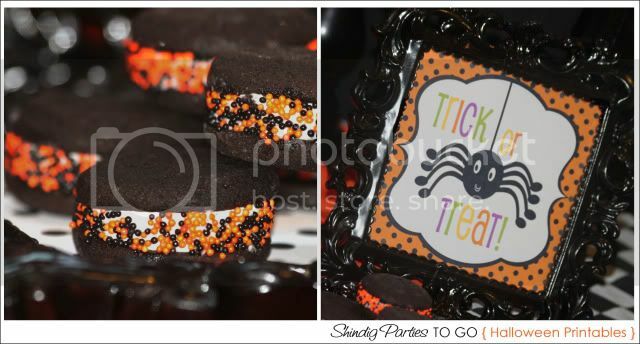 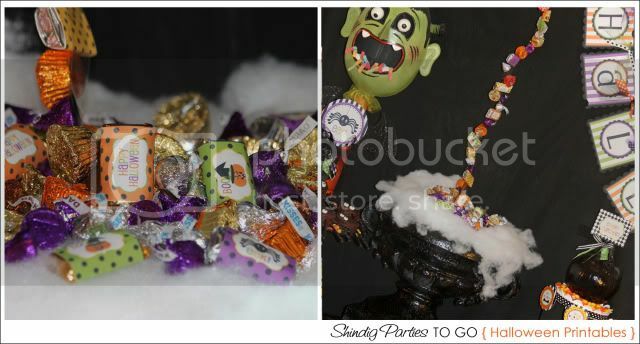 Thanks so much Kara for featuring Shindig's Halloween Party Printables and our dessert table! 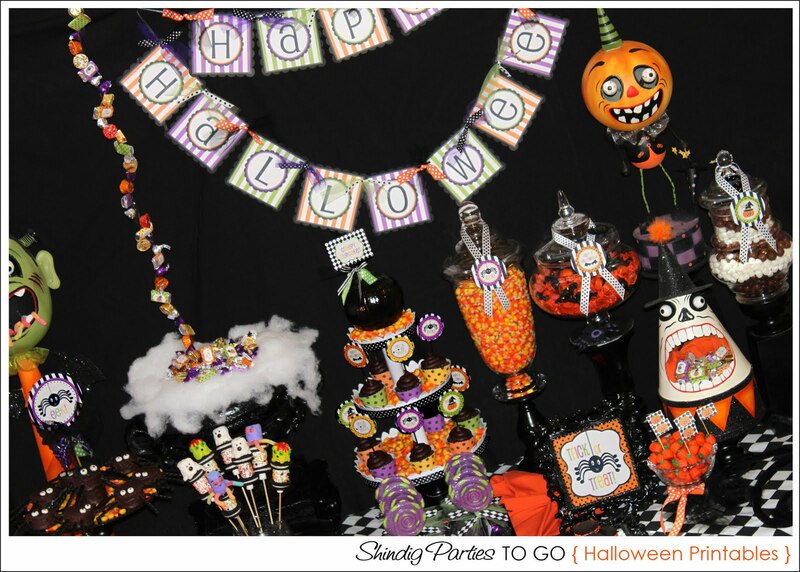 I hope you Halloween is spooktacular!! 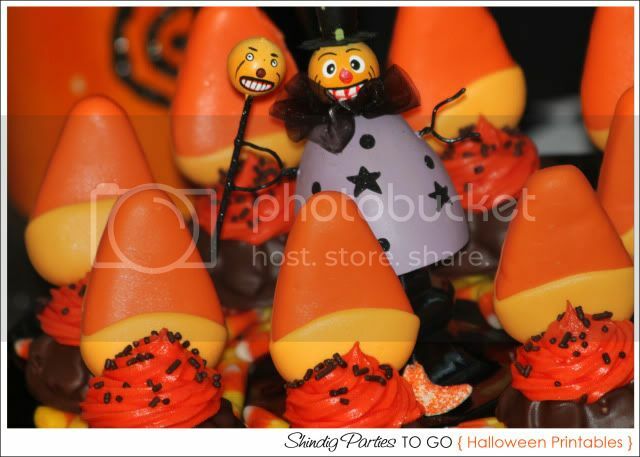 Very cool!!.. 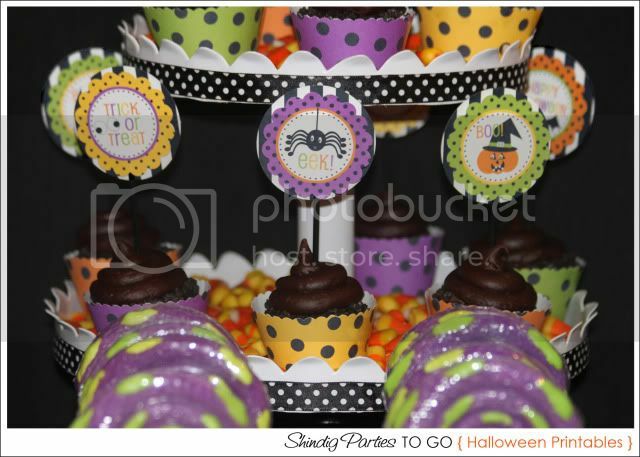 Usually we have a halloween birthday party for my son, but this year, he decided transformers.. 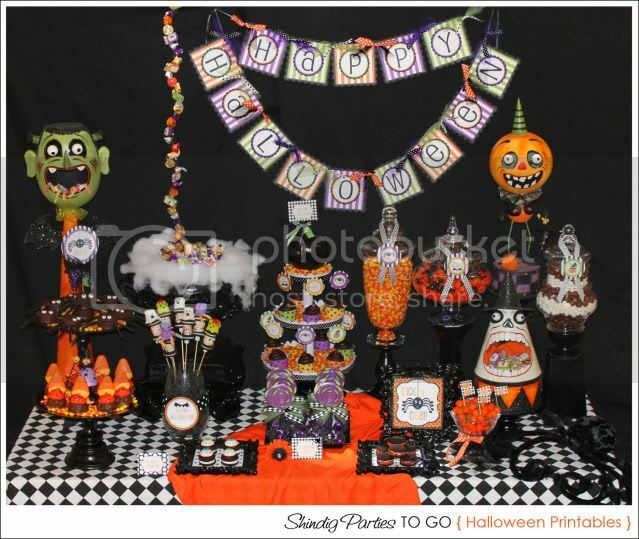 I will defintaly check them out for next year! 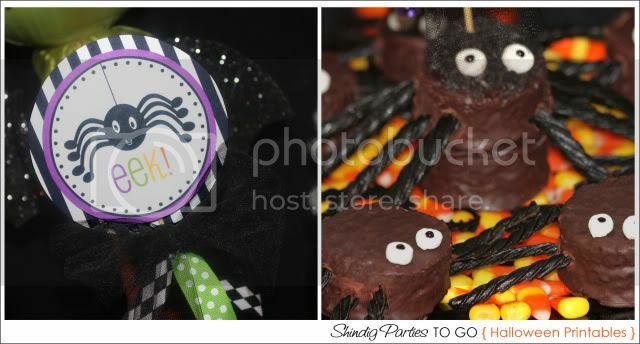 I like the spider cakes and the whoopie pies! 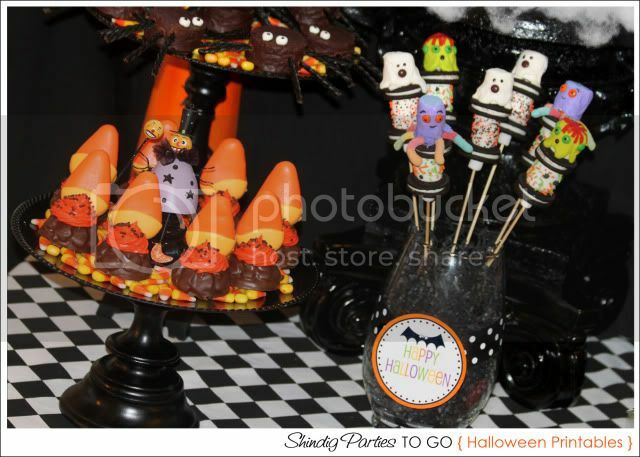 Love this table- the monsters with candy coming out of their mouths are great, and the cupcake stand setup is amazing.